In an earlier post I discussed the importance of cultivating agency influencers. You also need to identify “Training Cheerleaders.” These are the staffers who, no matter their level, understand the importance of professional development, attend the sessions, and encourage their teams and peers to do the same. Their support will prove invaluable to the overall success of your program because they can drive attendance, clue you in on aspects of the program that aren’t working, and suggest improvements on everything from content to best times of day for sessions, to which speakers are resonating and why. Find these folks, involve them in session planning where you can, and seek out their feedback year-round. We often pour our heart and soul into planning the agency training program. For some of us, it’s “our baby.” And no one wants to hear that their baby’s ugly. When I helped run an agency training program, I didn’t want to hear that either. But getting honest, ongoing feedback from attendees is the best way to assure that our “baby” lives a strong, healthy life. So in addition to getting input from senior management, agency influencers and training cheerleaders, you’ll benefit if you get feedback from attendees after every session. You can distribute a survey at the start of the session and ask attendees to complete it within the session’s last few minutes and have someone standing by the door to collect the forms as they leave. You could also use an easy online survey mechanism like Survey Monkey, but you may get a lower return rate. Whatever method you use, after each session get feedback on a mix of the following: 1) Most important actions they’ll take as a result of the session; 2) Value of content; 3) Ranking of teaching style; 4) Content practicality; 5) If the session were to be repeated, would they encourage others to attend? And which staff level do they believe should participate? ; 5) Would they attend a “Part Two”? ; 6) What they liked best about the program; 7) What they liked least; 8) Did the program met their expectations; 9) Other requested sessions, and 10) Additional ideas to improve the training program. 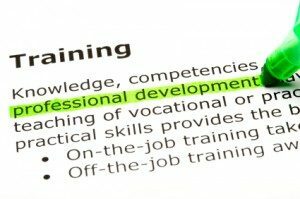 Make professional development part of performance reviews: If you agree that professional development improves job performance, then shouldn’t professional development be part of performance reviews? I believe so. Reinforce that employees will enhance job performance and career growth by improving existing skills and learning new ones. Discuss what kinds of courses the employee should take, which ones they’ll get via the agency training programs, and which they should take externally. Make your expectations in this area, and what the agency will provide to help the staffer achieve them, part of the discussion. Remember, you’ve made the effort to build the program around the company’s PD needs. It only makes sense to make all of this part of the performance review discussion. Create opportunities for staff to apply newly-acquired skills: There’s no point in training PR pros in new skill areas but not actively giving them the opportunity to flex their new knowledge muscles. Supervisors should be encouraged to create assignments that allow attendees to implement newly learned skills, with a safety net provided by supervisors. Of course, all of this is an outgrowth of building your program around key staff professional development needs, and making PD and training part of the performance review. It all works together. Make training session attendance mandatory: If you make attendance optional, no matter how good your programs are, your numbers will be lower. Far more important, you won’t obtain the learning and performance improvements you seek. Make attendance mandatory, with the implicit understanding that the only excuse for not attending is an urgent client crisis that will explode in the next hour while the staffer is in the session. And “a client wants to talk now” is not, in my opinion, a true crisis. To avoid issues with clients due to one of their key staffers not being available to them during a training session, decide which account team member will take client calls while others are in training, and be sure to alert clients to this in advance. Remember, most clients are delighted that their agency is helping the professionals on their accounts grow, because this will enhance the results that the staffers will generate for them. Avoid cancellation at all costs: Emergencies sometimes arise that prevent an internal staffer from leading a session. To avoid cancellation, the presenter should share their content in advance with someone else on their team, and ask them to be able to step in should a true emergency require them to not be present. A substitute leading a session, even it’s 75% as good as it would have been if the original “teacher” had presented it, is better than cancelling. That’s because when many sessions get postponed, they don’t get re-booked. 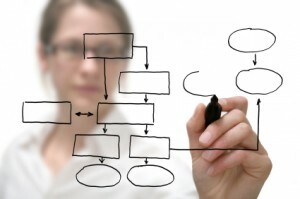 How have you designed your agency training program? What have you done to assure its success? What bumps in the road did you hit? As always, I welcome your comments.